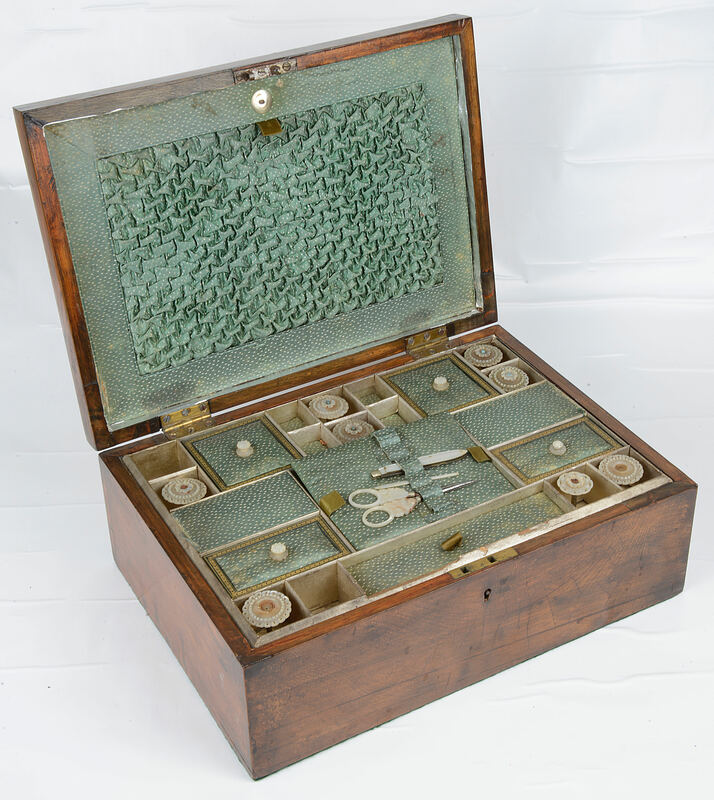 of rectangular form, the hinged lid with 'tumbling blocks' opening to reveal an inset tray green lined compartments, with mother of pearl handled scissors, fruit knife and spools. 13 x 35.2 x 25cm approximately. 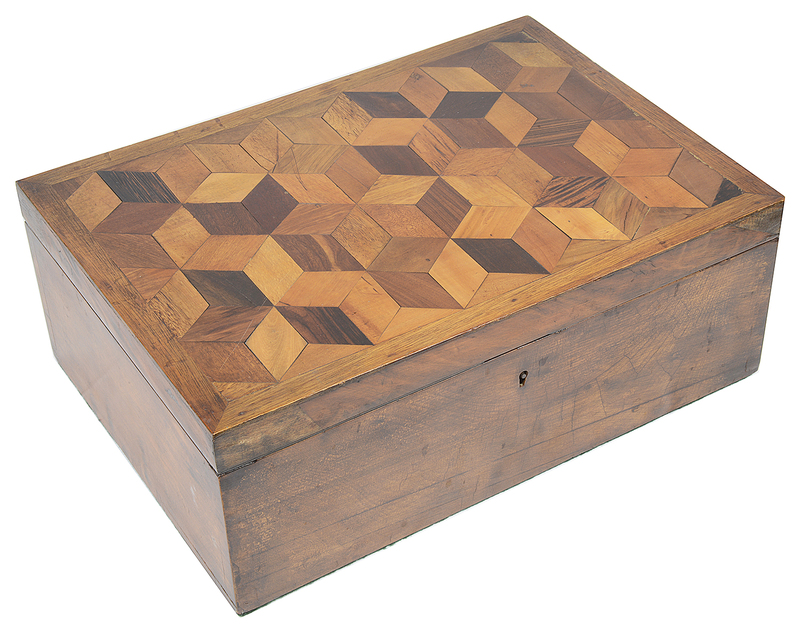 Condition: Fair, with wear to exterior of box, signs of repair to the front of the box lid, wear to the interior to the green lining and mother of pearl items.